If you purchased our former The Crissing Link: United Front or the bundle that contained United Front while it was part of The Crissing Link series � please contact us for a coupon for the new series bundle and thank you for your support! In a feat of courage and strength, Rev. 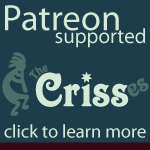 Criss breaks down the barriers and declares herselves to the public. Having figured out that her imaginary playmates weren't so imaginary, the 16 year old Crisses begin a 30+ year-long journey of selves-discovery, figuring out who owns their body, how to work together, and how to pull their collective life together � and come out a winner. Their first book introduces you to some of the major players in their life, taking you through their history and introducing you to 18 of The Crisses. This sets the stage and the backdrop of The Crissing Link series: memoir, manifesto, & more. The Crisses aren't satisfied with just changing their shared life for the better � they want to pioneer a better life for everyone with a mental health issue. SURRENDER� to Passion: Worried to Wonderful in 28 Days - how to change panic energy and anxiety into heart-centered living. Print & ebook through Amazon. We haven't read the book ��we got bits of the story first-hand from the author when we tabled at Healing Together in Orlando (February 2019). Knowing some of the story, in a time of our life when we're getting more and more angry at psychology as a whole and specific bad therapists and researchers in particular just wouldn't work for us. But this book talks about the dangers of allowing a therapist to lower the therapeutic boundaries, to encourage reparenting in the therapeutic relationship. What starts out as a casual lunch with a client outside of the therapeutic distance becomes a hand on the shoulder, a hug, a little with their head on the therapists' lap becomes ��something scary, frightening, and all-encompassing. Please read our page on reparenting, protect yourself, and if you need it � read this cautionary tale!